Both have tough jobs, to be sure. A nurse, in her twelve-hour shift, might be attending to three people at a time, assisting with who-knows-how-many deliveries in the course of a day. She’s watching Room 5, who has an epidural and is sleeping, on the monitor screen when the fetal heart rate goes wonky. Then she’s helping Room 3 push, then assisting Room 7 in getting an epidural. Room 4 is admitted with ruptured membranes, having no contractions, and has seventeen people camping out for her in the waiting room for whom the nurses will be playing diplomat for the next thirty hours. Room 10 is having a panic attack, and Room 8 is using self-hypnosis and doesn’t want anyone to talk to her in any way, shape, or form. That’s just in the last two hours. Who even knows what the rest of the day will bring? If she’s lucky, she’ll get five minutes to pee. Forget about lunch. She’s fluent in the communication style and preferences of each of the eight doctors on shift that day, and can turn on a dime as needed. Dr. David loves it when everything is ready for delivery, gloves and all, when he comes in the room. Dr. Wendy doesn’t like questions, and will ask for everything she needs, so just do as she asks when she asks for it. Dr. Zen is going to be calm if her patient takes all day, and Dr. Zip is going to order pitocin in the next hour if her patient doesn’t get moving. Dr. Fortissimo is a yeller. Dr. Brown likes to be called in after pushing is well underway, and Dr. Green always does her own internal exams and wants an update at least once an hour, please. Dr. Shiny, the brand-new Resident, is eager to overmanage and hasn’t yet learned the art of patience and diplomacy. No problem – this nurse can handle it all with style and grace. She makes the transition from one scenario to another countless times in one day. She goes from the blissful welcoming of a long-awaited firstborn to the fear-filled room of a teen mom laboring alone. Then she enters into the room of the grieving parents whose preemie baby isn’t handling labor so well, and from there to the exhausted mom who has been laboring with her third for two days. In each room, she smiles. Each one, she asks about comfort and how needs can be met. Each interaction must be accurately documented (with the software that is different this week than it was a week ago,) meaning that she must find the balance between interacting compassionately with her patient and facing a screen. Meanwhile, in her head is the ongoing chess game of which patient’s need is greatest in this moment, and hoping that the charge nurse, who is the air traffic controller of all nurses who sees that all of the tasks get done, will let her be where she thinks she is most needed when she needs to be there. The doula works just as hard, in a somewhat different way. Her focus is on one birthing person at a time, for as long as this birth takes. She, too, provides long hours of support. She tends to comfort measures, position changes, counterpressure, and talking through fears. She keeps the birthing person informed about her options, and encourages her in her decision making. She has the time and availability to answer questions, and explain each step of the process of labor, in a way that others on the team may not. When doulas and nurses work together in harmony, the outcome can be spectacular. The nurse is free from worry that her patient is being well cared for. Her stress level is lower, and her time in the room can be more focused on providing high-quality care, and less on housekeeping and getting more juice. When doulas and nurses work in conflict, the consequences can be stressful for all involved. So, what can doulas do to ensure a happy birthing team? First, remember that we’re all human. Communication skills and styles vary widely from person to person. For some, it’s a strong suit, and for others, not so much. 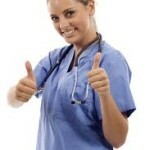 However, what one nurse lacks in “warm fuzzy” she may make up for in knowledge, or patience, or strong clinical skills. Remember, too, that everybody has an “off” day now and again. Take nothing personally. For every one nurse who makes a snarky comment, there are surely ten more who are going the extra mile, staying fifteen minutes after the end of her shift because the patient she had bonded with was delivering and she didn’t want to leave. And, you know what? Nurse Snark probably did that yesterday for somebody else, but today, she witnessed something really intense at the beginning of her shift, and now she’s exhausted. Maybe another patient just bit her head off. Perhaps she just got called out of a room with someone who really needs her, and she is worried that the person taking her place now won’t be a good fit for the patient she just left. Maybe her kids were whining this morning because she’s working today, on her day off, because someone else called in sick. We’re all going through more than we reveal out loud. Be gentle in your judgments. Second, if you want to be on a harmonious birth team, act like it. Introduce yourself. Look the nurse in the eye and smile. Let her know that you’re happy to help in whatever way you can. Remember to say “please” and “thank you,” and call her by name when you do. She changed soggy bed pads? Say thank you. Said something really encouraging to your client at just the right time? Thanks again. Brought extra towels into the room for the third time? Thank you. Brought you the birth ball and the rocking chair, and has the tub room all ready for your client? Thank you, thank you, thank you! Let her show off her skills, too. Doulas and nurses both come into this line of work as compassionate people with a desire to serve others. Chances are, just like you have, she’s learned a few things along the way. When she’s in the room, let her do her thing. If she wants to share a few of her precious and limited minutes doing some of the good stuff – taking a few moments to breathe with your client through the contraction, rubbing her back, making a comfort suggestion – welcome it. Take this opportunity to learn from her, and expand your own repertoire. Stay within your own scope of practice as a doula. Remember that you are a guest in the hospital staff’s workplace. If you have questions about the hospital’s rules and protocols, ask in a way that communicates respect and a desire to work within their guidelines. Refrain from offering medical advice, and support your client in making her own choices. Let your client speak for herself. It’s seldom a good idea to start with,”But her birth plan says…” Ask all of the questions you need to in order to help gather information, let the nurse share what she knows as well, and leave the decision-making part up to the client and her partner. Don’t speak to the doctors or nurses on your clients behalf. Remember that you are responsible for fulfilling your support role, and the client is responsible for making her own choices and letting her own wishes be known. When all is said and done and the birth you’re attending is complete, share your good thoughts. In a job full of intensity, when laboring women are often seen at their most raw, it means the world when someone else notices something that was done well, and says so. Did you notice her gentleness? Was she great with an anxious mama? Did she sit on the floor and contort her own body to hold a monitor in place for ten whole minutes so that your client could stay in the comfortable position she’d found? Let her know that you noticed, and that you appreciate it. If she was really fantastic, perhaps even consider writing a letter to say so, and sending it to her boss. We’re all in this together. A great team makes for a great birth experience. 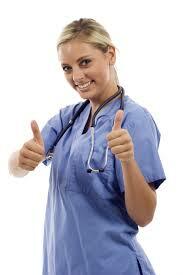 When doulas and nurses work together well, everybody wins. Do u mean doulas and midwives? While some midwives are nurse midwives, today I’m thinking specifically about the labor and delivery nurses. I would like to post your blog to my blog for others to read, like a guest blog post. Would you be ok with this? I would link back to your page! I have been both a doula and an L&D RN and let me say a doula’s job is nowhere near as hard as an RN’s. Don’t forget, in addition to your description of the RN’s job, we must chart everything that is done, and we are in jeopardy of losing our license, our job, someone’s life, and a lawsuit for 18 years after that baby is born.